What’s the Project? 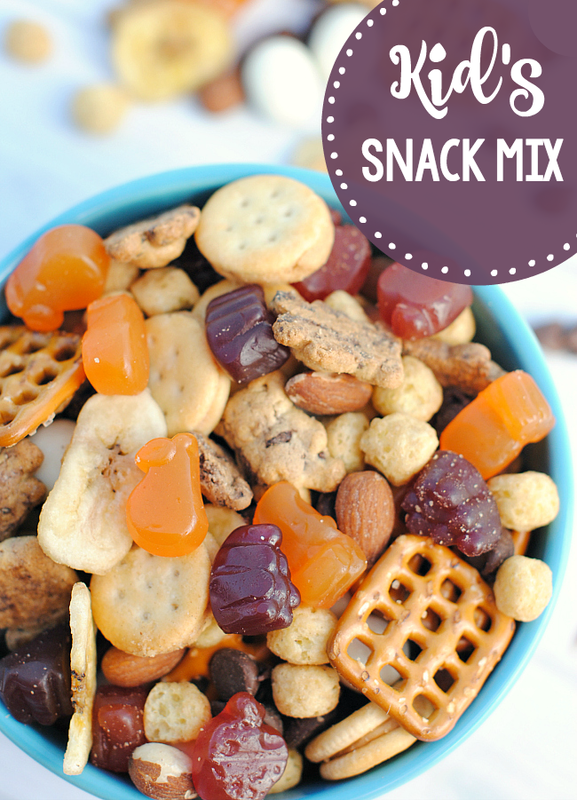 This easy kid’s snack mix is perfect for having around the house, taking on road trips or packing in a lunch for the little ones. So easy to put together and something they (and you!) are going to love. 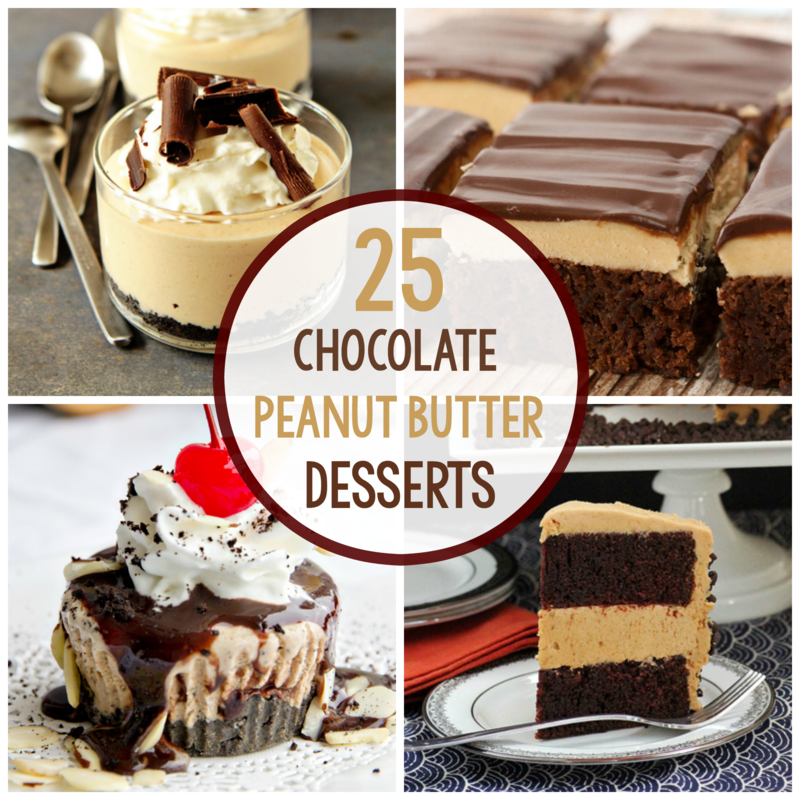 This post was sponsored by General Mills through their partnership with POPSUGAR. 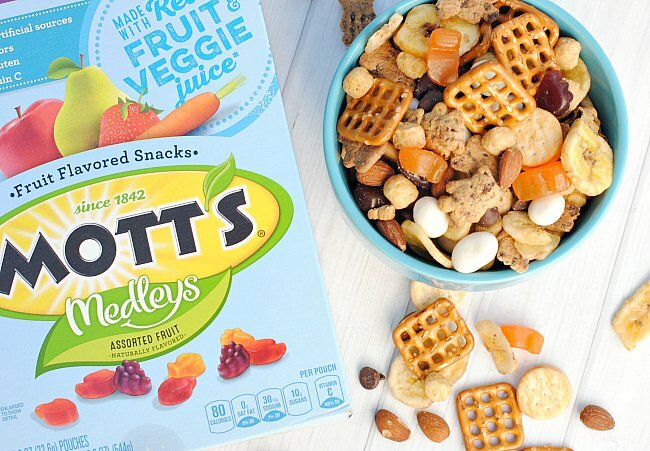 While I was compensated by POPSUGAR to write a post about Mott’s® Medleys Fruit Flavored Snacks all opinions are my own. One of the hardest parts of the school year for me and my hubby is keeping up on making the kids’ lunches every single day. It seems like a small thing but can be overwhelming when you have to do it every day for multiple kids, so we are always looking for quick and easy things to put in their lunches. And then there’s summer when the kids think the kitchen has a revolving door on it and you can’t keep them fed! You know what would be a great idea with this? Make a big batch of it at the beginning of the week and then keep it in an airtight container or bag and just give them a little bit each day. Perfect, simple solution! My kids LOVE this stuff! I could hardly keep their hands off while I took pictures! Perfect idea to throw in their lunches because I KNOW they will actually eat it. I guess the real beauty behind this is that you can make it with anything that your kiddos will love! I’m going to show you what I did, but you can tweak it to work for your kids. The thing to shoot for is a nice balance of flavors-some salty, some sweet, some fruit flavored, some more subtle. Just a nice balance. 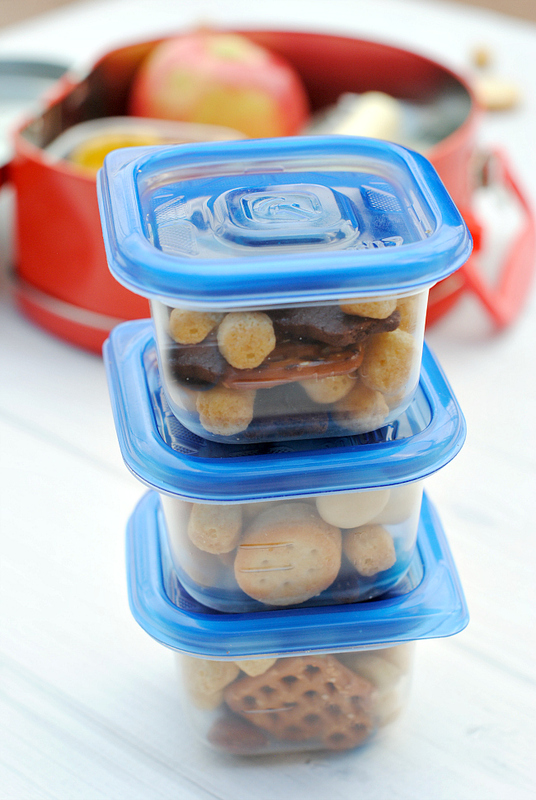 Now, grab some small containers or little bags and fill them up! Throw it in your kid’s lunch and you’ll have some happy campers on your hands! 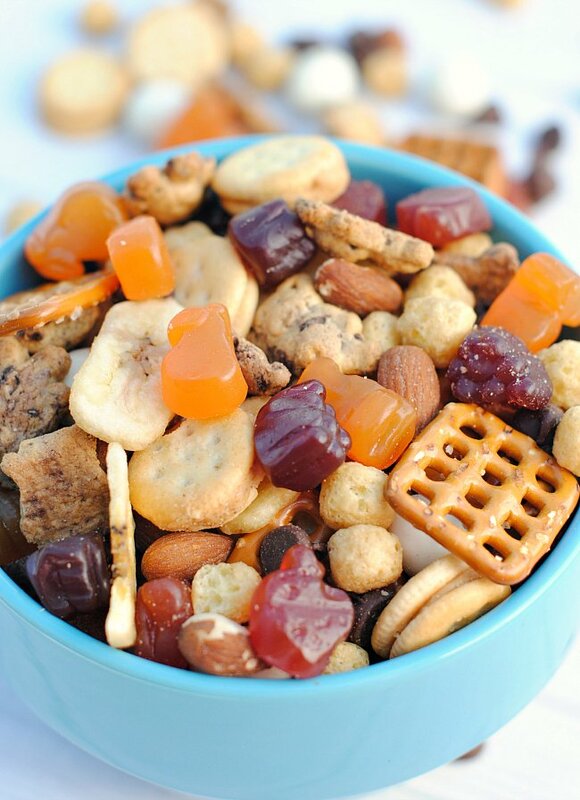 Hope you and your kids love this easy kid’s snack mix! Yummy!! I am going to share with my cub scout pack. 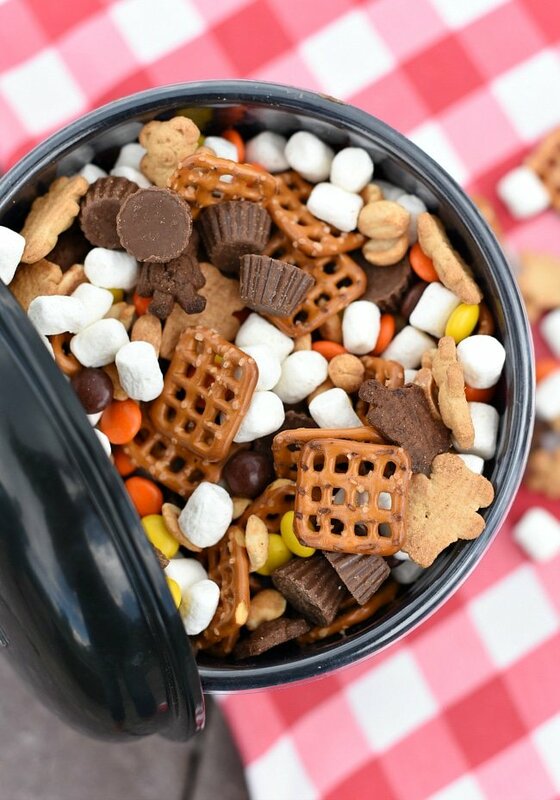 We do a lot of camping and hiking and trail mix is a must for us!! Yes! It will be perfect for that!